Diana Frances Spencer seemed to come out of virtual obscurity when she wed Prince Charles in 1981. 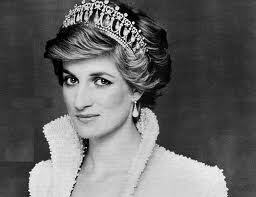 Thrust onto the world stage at the young age of twenty-one and faced with the pressures of living up to the expectations and standards of Britain’s Royal family, Diana endured both the adoration and painful scrutiny of the public, the media and the royal family. Dubbed the “People’s Princess” by the press and the “Queen of Hearts” by then Prime Minister of Great Britain, John Major, Diana revived a staid monarchy with her vitality, charm, and glamour and ushered in a new age for the British monarchy. She committed herself to her sons, Prince William and Prince Harry, and charity work, touching the lives of the sick, the homeless and everyday people with her warmth and humanity. Hounded by the media and beloved by the world, Princess Diana’s life played out like a fairytale, a soap opera, and ultimately a tragedy when she was killed in a car crash in 1997 while fleeing the paparazzi. Diana’s legacy of compassion, grace, and kindness lives on and continues to touch and inspire people from all walks of life.